Wednesday March 30, 2016 and it was supposed to be sunny this morning. I think we saw the sun for almost 5 minutes and it has been cloudy ever since. It’s cool outside too, only around 10 C.
We didn’t have anything special to do today so we walked across the bridge at the lock/ecluse and saw two boats leave the basin through the lock and two new boats enter. We also spotted a cormorant in the basin having his breakfast. As we walked by the Sablons beach Sandy spotted a large bird in the water and two smaller bird also in the water a few yards from the large bird. It turned out that all three were cormorants with the larger bird being the parent. All three were diving into the water to feed. 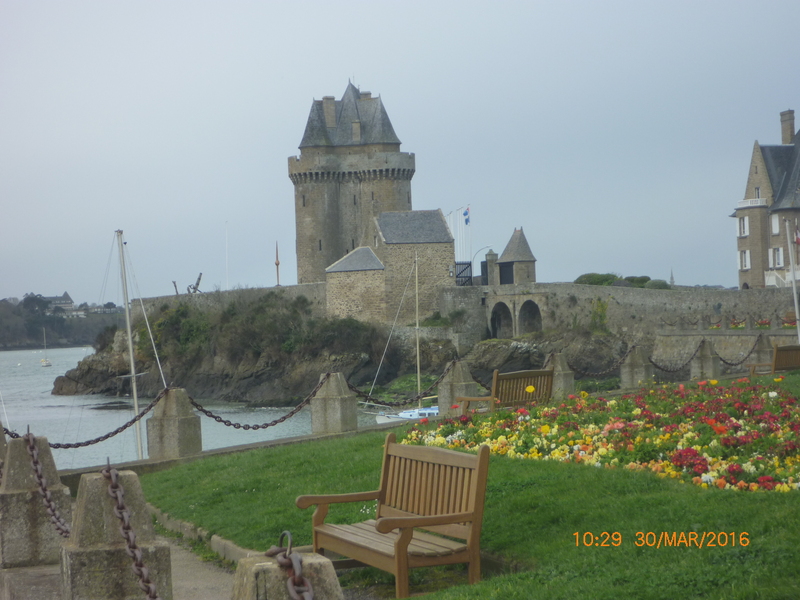 We continued our walk along the Solider beach close to the Solider Tower into Saint-Servan. Seeing the tower for the first time this visit brings a good feeling to both of us. yellow and white daffodils, hyacinths, a blue flower with six petals, magnolia bushes, and a climbing rose bus h in bloom. All of the roses had been trimmed back last fall and were showing new leaf growth. 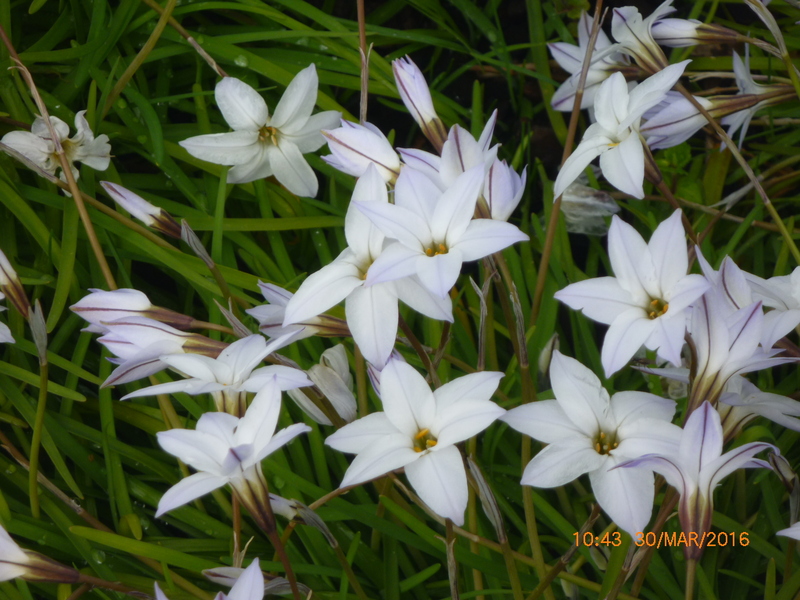 We’ll have to return in a couple of weeks to see new blooms. 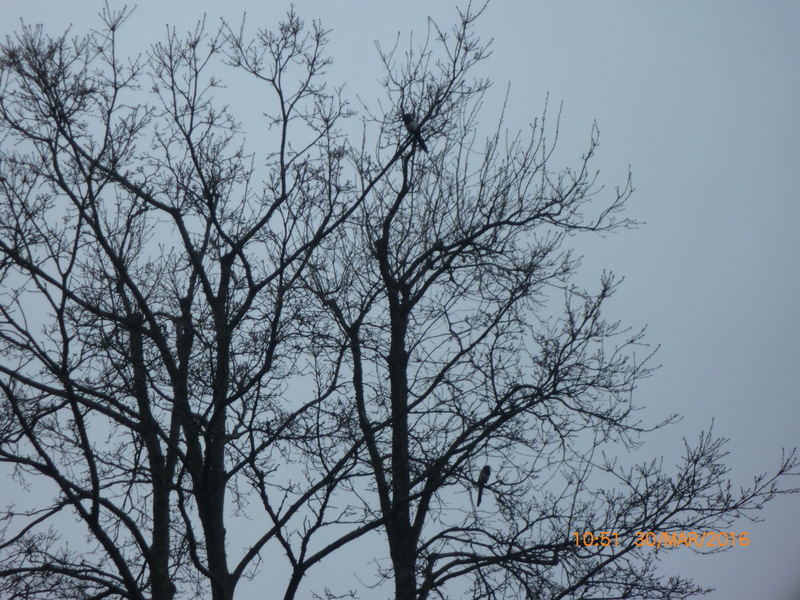 As we left the Roseraie, Sandy spotted a couple of magpies in a tree. A little later we spotted another pair of magpies around the lock / recluse. Maybe it is matting season. 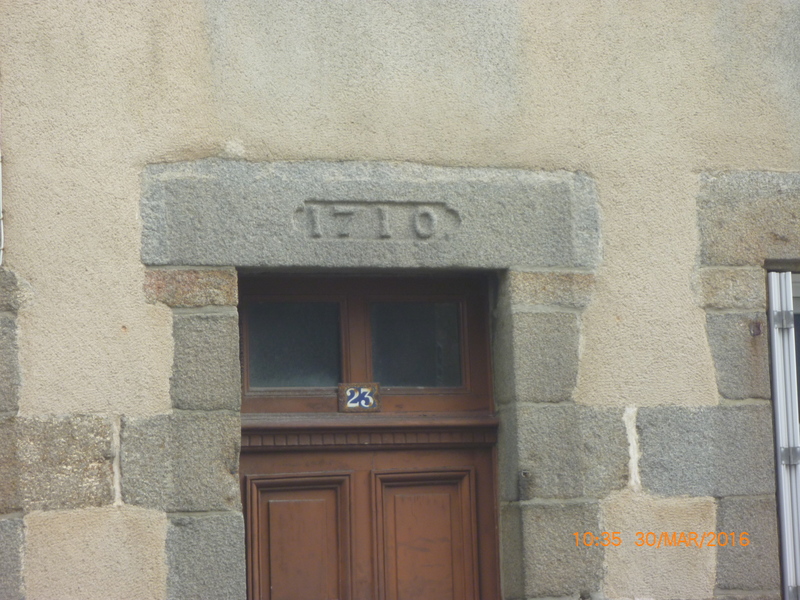 On our way we also passed a building with a lintel with the date of 1710 carved in the stone. 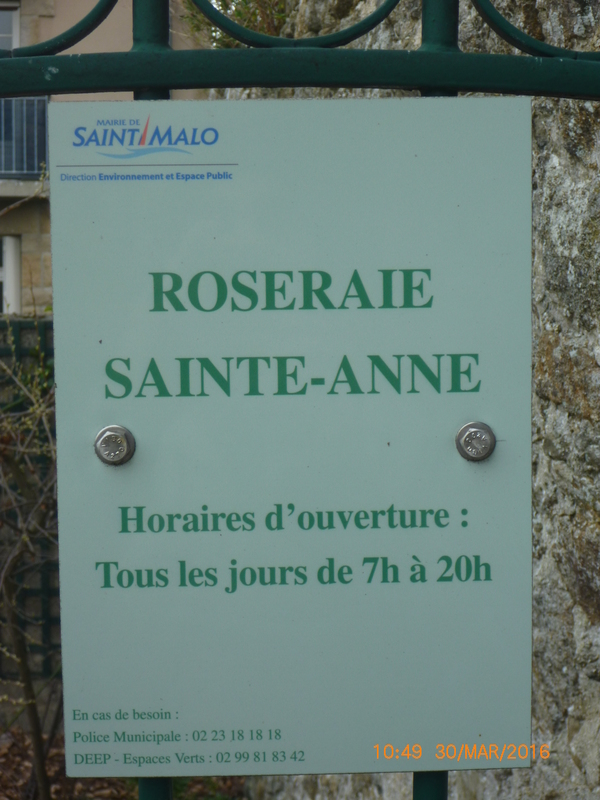 We walked home on the principal road in Saint-Servan. We were stopped again by the lock/ecluse being opened to let a boat from the Channel Island of Jersey and a fishing boat leave the basin. Seeing the lock / ecluse operate and seeing boats entering and leaving the lock / ecluse is always interesting. Our total walk was about 5.2 km and Sandy’s legs are tired and sore!